With our new lounge at Brookfield Place in the heart of Toronto's financial district, King & Bay has elevated the custom clothing experience to a new level for discerning men interested in style. We love design. We love style. And we are committed to quality, both in terms of the tangible products we create, and the intangible experience we offer clients. Our Kingsmen come from a history of 5 generations of master tailors and craftsmen – and we see a future where dressing the discerning man is an event to be celebrated. We believe every one of our clients has a personal style that wants to express itself. And we're here to help it come alive. We celebrate the art of dressing well. Our Kingsmen are amongst the most highly trained, experienced and skilled Master Clothiers in the business. Ready to discuss look, style and fashion, our Kingsmen will guide you through a creative process of exploration and design to craft the perfect suit or garment for you. 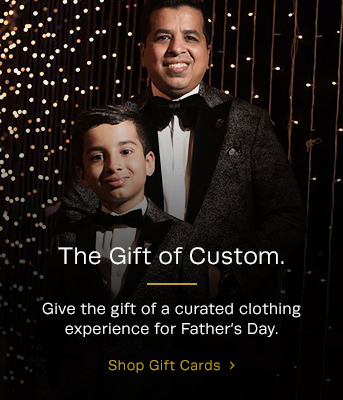 They'll take the time to curate a custom clothing experience that will change your expectations forever. Your Kinsgman is your personal style consultant. We know that going custom is an investment, both in terms of time and money. Our clients are busy, successful business people, sports and arts celebrities, and gentlemen who savour the process of creating their own unique style, but need to manage schedules and budgets. We would love to answer the question about why you should choose King & Bay over other Toronto tailors over a drink in our lounge, but understand that you may want more answers before we chat. We're Happy To Answer Your Questions. Please ask. Do I need to book an appointment, or can I just drop in? How long does it take to get a suit made once I've selected the fabric? Is your Master Suit Offer unique to King & Bay? All of our fabrics are sourced from the world's best mills, primarily in Italy and England. Our library offers over 50,000 swatches of seasonal and all season cloths.